Combine the ingredients and knead to a smooth dough, adding no water if possible. Too much water or flour in the kneading process will make the ottis hard. Roll or press out balls of dough into 7-8″ rounds. Heat a heavy griddle and cook the the ottis on medium high for two minutes on one side before flipping. Cook for another two minutes, pressing the edges to seal any cracks that might appear. 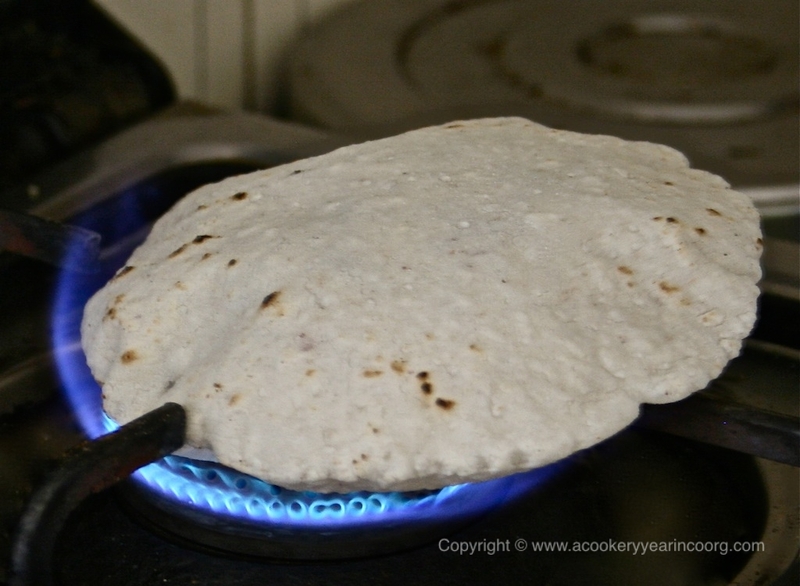 Flip once again, and using a spatula or clean cloth , press down gently and evenly over the surface to encourage puffing. This can also be done by holding the otti over a direct flame. Eat right away, or stack in a cloth lined dish until all the ottis are ready.